lower this Beach Chair Attachment. which adds to the convenience and ease of use. Accommmodates patients up to 500 lbs., subject to O.R. table limitations. Integrated mounting clamps adjust easily so it will attach to any width operating room table. Double-ball joint head system safely secures patient's head. Headrest tilts 30° in every direction - forward, backwards and and side-to-side. Headrest also slides verically and then locks tight. 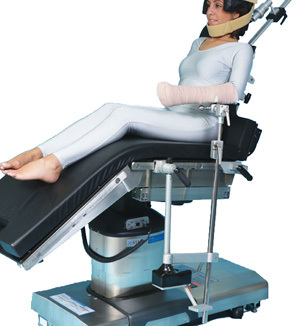 This Shoulder Arthroscopy Beach Chair adjusts from 0° - 90° in 8 seconds in a slow controlled movement. 2" Softcare pad set for patient comfort. Matches the height of your 2" O.R. table pad. 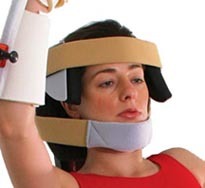 Lateral brace is included to secure patient's operative side. 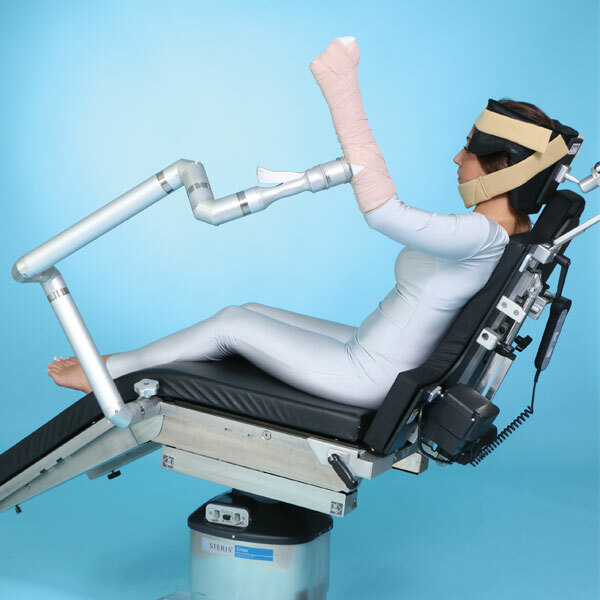 Optional multi-axis arm positioner secures patient's non-operative arm. Optional transport dolly ensures easy transport and storage. factory at 1 888 724-8763 for sales & service. Transport Dolly shown above with Shoulder/ Beach Chair Attachment & accessories. information to the right before calling us. This arm positioning device combines strength and adaptability to provide optimal intraoperative position for upper extremity procedures. Staff efficiency is improved as the assistant are freed from holding the limb during surgery. Designed to maintain a low profile position while delivering exceptional control and positioning capabilities. Mounts onto the side of any standard operating table and provides a non-sterile base for which sterile components are inserted. The upper extremity positioner and control tube are steam autoclavable to provide the sterile environment needed for upper extremity surgery. Note: If you wish to purchase this product and require an in-service, then please call the factory at 1 888 724-8763 for sales and service. Note: Shoulder Arthroscopy Beach Chair is sold separately. 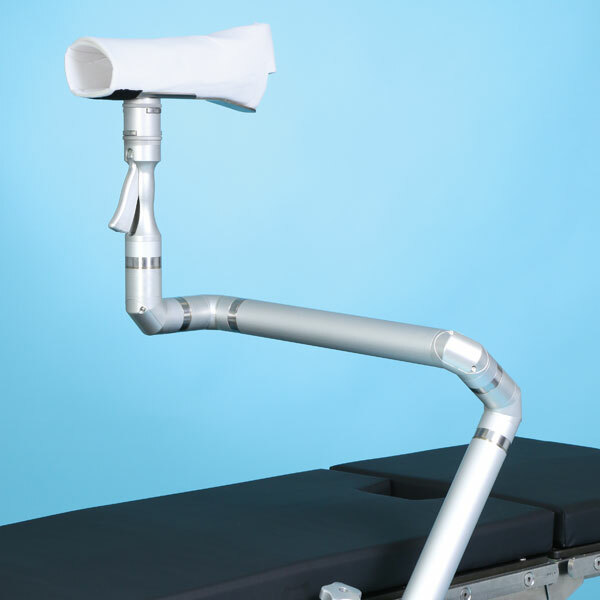 Increase operating room performance and productivity with the new SchureMed Schure Loc™ XPS Arm and Shoulder Positioner. 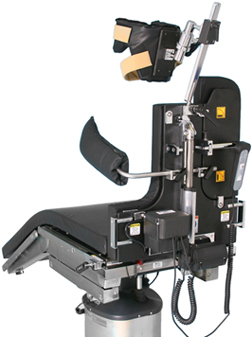 This positioner doesn't require foot pedals, hoses, hydraulics or power cords around the operating room table. It combines strength and flexibility when intra-operatively adjusting the operative limb. There's no need to have the surgical aid hold the patient’s limb during the procedure! Great for beach chair or lateral position and coming soon – Schure Loc™ XPS for elbow, wrist, knee or ankle surgery. 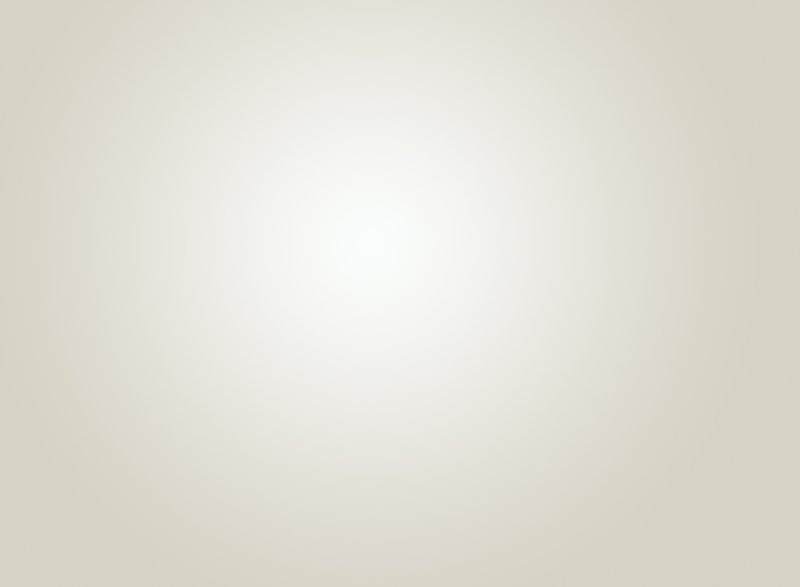 Note: You can purchase this easy-to-use product immediately from us with a 30 day guaranteed satisfaction policy. Or if you want to purchase it and require a personal in-service, then please call the factory at 1 888 724-8763. Used with above Shoulder/ Beach Chair. Straps are secured to headrest with Velcro. 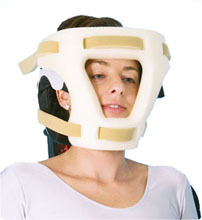 Chin strap includes a padded cup to help secure the patient's head. Disposable face mask securely holds patient's head during the operative procedure without interfering with or compromising patient's airway. Easily attaches to head frame with soft Velcro straps. Copyright 2005 - 2015, SW Med-Source Inc., All Rights Reserved. Average delivery time is 1 to 3 weeks.